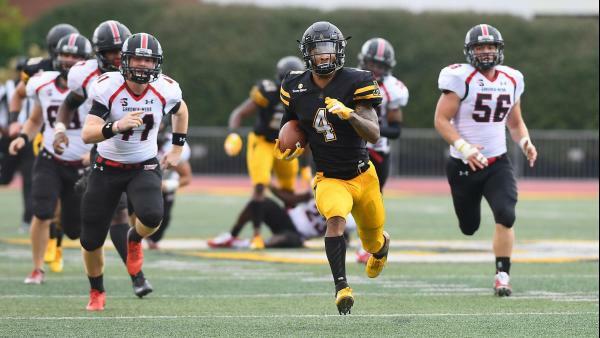 There probably weren’t too many people that saw Clifton Duck as a legitimate NFL Draft prospect when he signed with Appalachian State in 2016. A two-star, according to the 247Sports composite, Duck wasn’t even one of the top 120 recruits in North Carolina, coming out of Butler High School. Three first team All-Sun Belt selections earlier, suffice it to say, mission accomplished. Now, Duck, tied for fourth in conference history with 12 career interceptions, has set his sights on the NFL. And, improbable as it once seemed for him to even make the league, he’s doing so with a year of eligibility left, the first player in school history to leave early. Knocked his entire career for his size, or lack thereof, Duck’s evaluators have consistently made one key mistake: underestimating the measure of his heart. As the pre-draft process gets underway, the Matthews-native has yet another opportunity to do what he does best… prove people wrong. Based on his performance in the return game this season, speed won’t be much of an issue. This recent development, having been used only sparingly as a returner prior to the 2018 season, also shows a new level of versatility, granting suitors some roster flexibility, which has never been at a greater premium than it is now. As one of just six Sun Belt players to ever average 10+ yards per return on at least 30 attempts -- alongside the likes of Leodis McKelvin and T.Y. Hilton -- it’s fair to say he can do quite a lot when given the opportunity. A defensive back through and through, Duck is simply controlling the things he can control. He can’t control whether or not a quarterback throws into his coverage, but he can darn sure make him pay if he does. He can’t control whether or not NFL execs see what everyone in Boone has known for three years, but he can put himself in the best position to make it happen. Yet, even as he looks ahead to the next chapter in what promises to be a great career, Duck remains grateful for the opportunities that his time at App State afforded him. So often, the draft, and football in general, gets boiled down to measurables. Clifton Duck, however, personifies the fatal flaw in those sorts of superficial evaluations. The truly great players, more than anything, succeed not because of what is readily apparent, but because of the un-measurables, the intangibles. His numbers speak for themselves, his resume surpassed by very few in recent memory. App State once had the foresight to bet on a kid out of Charlotte, and that wager paid off like a broken slot machine. Now, it’s merely a matter of time until someone else wins the Clifton Duck lottery.